Compact and durable USB flash drive with GsmServer logo offers a fast, convenient way of backing up and transporting your most important information, storing and sharing your videos, photos and music. 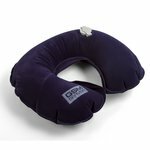 Travel u-shaped air pillow is designed to offer the right amount of plush comfort while providing the perfect amount of support for your neck. Microfiber pouch with GsmServer logo and drawstrings is compatible with most of mobile phones/portable cameras.